Country strong is what they call it in Oklahoma (from where he was born and raised). 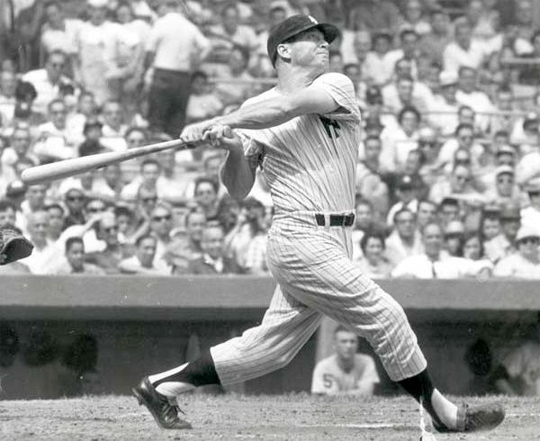 Mickey Mantle was a home run hitting machine. A switch-hitter with enormous power from both sides of the plate. 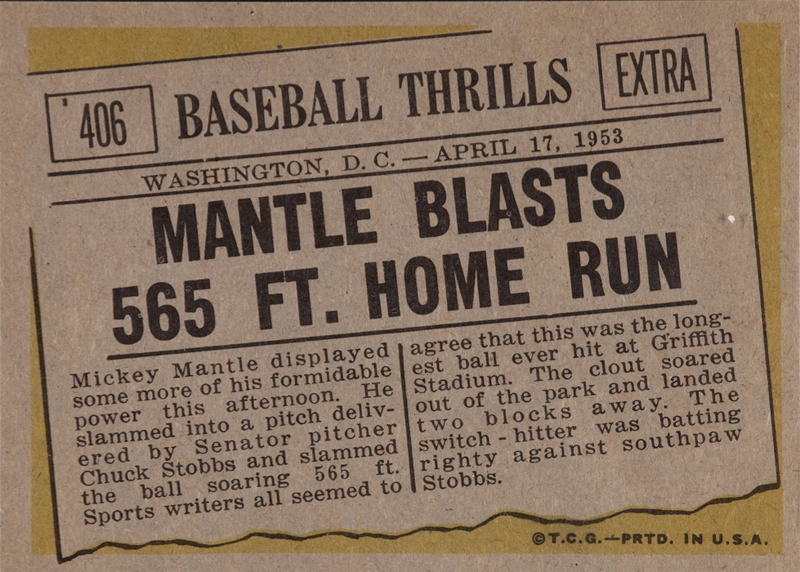 Mantle considered himself a stronger right handed-hitter even though he hit more home runs as a lefty. 1961 Topps Mantle Blasts 565 Ft. Home Run #406 PSA Mint 9. 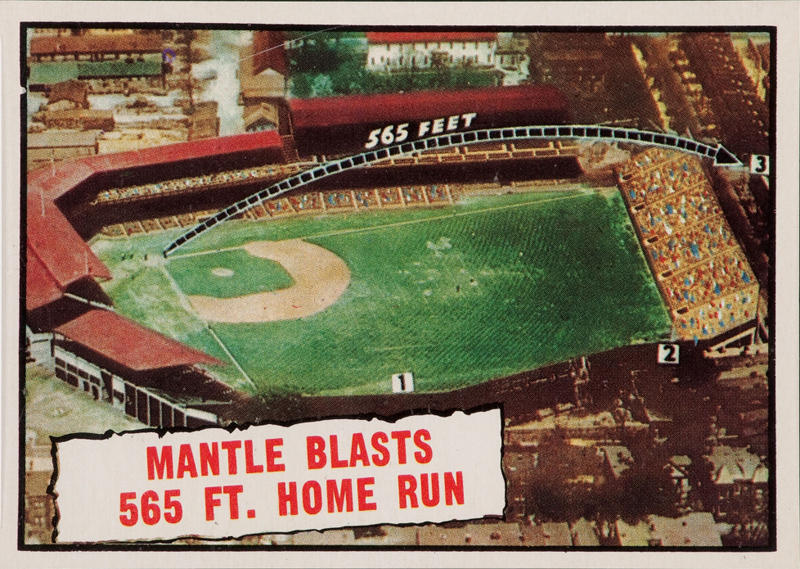 This card highlights one of Mickey Mantle’s most prodigious home run efforts, a feat made the more impressive given it ranks high even with today’s steroid-enhanced ballplayers.